During the 2018 Association of Fraternity and Sorority Advisors Annual Meeting in Indianapolis, Indiana, NAPA unveiled its Speakers Bureau to an audience of student affairs professionals. 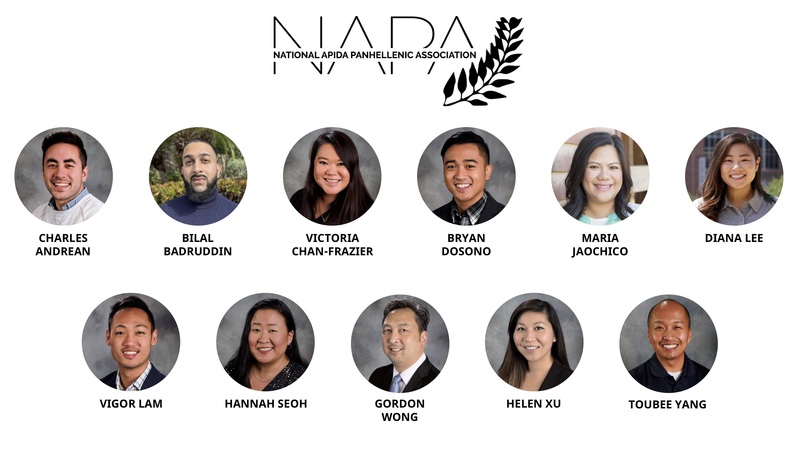 This is the first time NAPA has released such a list, and the hope is that University advisors and member organizations will be able to take advantage of it immediately. The inaugural set of speakers encompass backgrounds in higher education, fraternity and sorority advising, nonprofit management, and industry. A wide portfolio of talking points include student conduct, mental health, career transitions, restorative justice, women empowerment, healthy masculinity, alumni relations, LGBTQ awareness, decolonization, multiculturalism, and leadership assessment. University officials may reach out and make arrangements with speakers individually on a campus by campus basis. Speakers are vetted by the NAPA Board and are selected for their longstanding advocacy for APIDA fraternities and sororities. A complete roster of speakers and their contact information is available on the NAPA website.